Dr. Brian Abasciano recently posted an article on the Society of Evangelical Arminians website in response to an “untenable grammatical argument” offered by (so he claims) James White, Guillaume Bignon, James A. Gibson, and yours truly. Dr. Abasciano generously describes me as a “respectable Calvinist philosopher” (who are the disreputable ones, I wonder?) even though he thinks I committed an “embarrassing mistake” (if so, at least I’m in good company). Drs. Bignon and Gibson have replied here. Dr. White made some excellent comments in response on The Dividing Line (April 24 episode). I don’t have much to add to these, but I’ll make a few observations of my own. Yes, it really does. Hear me out. John 3:16 is commonly cited against the Calvinist doctrine of limited atonement (LA).1 The argument is simple: LA teaches that Christ made atonement only for the elect, but this best-known verse in the Bible says that God so loved the world that he sent his Son. That implies a universal atonement, for all mankind, not one limited in its extent. That seems like a knockdown argument on the face of it, but on closer examination it turns out to be very weak. In John’s writings “the world” (ho kosmos) rarely if ever carries the sense of “all mankind” or “every human who ever lived.” It certainly doesn’t mean that in 3:16 because that would make nonsense of the immediately following verse. (Try replacing “the world” with “all mankind” in verse 17 to see the point.) 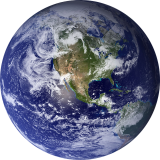 Rather, “the world” typically means either (i) “the created universe” (as in John 17:24), (ii) something like “the fallen creation in rebellion against God” (e.g., John 3:19; 13:1; 15:19; 17:13-18; 1 John 2:15-17) or (iii) “all nations” as opposed to the Jewish people alone (as in John 4:42). Whatever the exact sense in 3:16, there’s nothing that conflicts with LA. So John 3:16 doesn’t count against LA. Perhaps most Calvinists are content to leave it at that, but I think we can go further and argue that it actually supports LA. One of the current debates among Reformed scholars concerns whether Reformed theology commits one to a compatibilist view of free will. Is there room in the Reformed tradition for a ‘libertarian Calvinism’ which affirms Calvinist distinctives (such as a strong view of divine providence and a monergistic view of salvation) while also allowing for libertarian free choices (at least in some areas of human action)? I’ve already argued in several places (e.g., here and here) that Reformed theology is committed to divine determinism and thus excludes libertarian free will. In this post, I offer another brief argument against ‘libertarian Calvinism’. 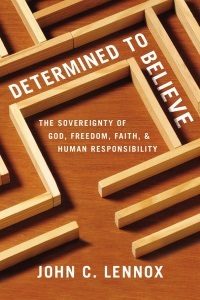 In chapter 7 his recent book Divine Will and Human Choice, Richard Muller observes that early Reformed thinkers typically located the foundation of possibility in God himself — specifically, in divine omnipotence (Muller, pp. 263-67). On this view, God knows what is possible by way of divine self-knowledge: his knowledge of his own power. For any state of affairs S, S is possible reduces to God has the power to produce or bring about S.
S1: Albert’s freely choosing at time t to finish the pizza. S2: Albert’s freely choosing at time t not to finish the pizza. On the standard libertarian view, both of these are possible, yet it’s not within God’s power to bring about both of them (by which I mean to actualize whichever one he wants, not to actualize both of them at once, which would be a logical contradiction). A Molinist committed to libertarian free will might observe that God has the power to weakly actualize S1 or S2, based on his middle knowledge, even though he cannot strongly actualize them. True enough, but on the Molinist view God is constrained by the counterfactuals of freedom such that he can only weakly actualize either S1 or S2 (given the same world history up to time t). So the Molinist still has to concede that there are some possibilities beyond God’s power to actualize (weakly or strongly). In fact, it’s trivially true that Molinism is incompatible with the claim that possibilities are grounded in divine powers, for two reasons: (1) on the Molinist view, not all possible worlds are within God’s power to actualize; (2) the counterfactuals of freedom (i.e., the objects of God’s middle knowledge) are contingent brute facts beyond the control of God. The Reformed tradition holds that possibilities are grounded in divine omnipotence. Libertarian free will implies that there are some possibilities which are beyond God’s power to actualize, and thus that some possibilities are not grounded in divine omnipotence. Therefore, the Reformed tradition rules out libertarian free will. Furthermore, if the Reformed tradition affirms that some human choices are free (which it does) then the Reformed tradition is committed to a compatibilist view of free will. Q.E.D. 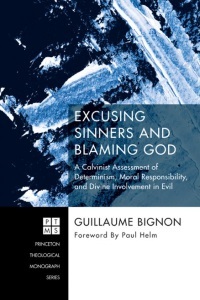 The following is a guest post by Dan Johnson, associate professor of philosophy at Shawnee State University and co-editor of the recently published Calvinism and the Problem of Evil. God truly loves all persons. Not all persons will be saved. Truly to love someone is to desire their well-being and to promote their true flourishing as much as one properly can. The well-being and true flourishing of all persons is to be found in a right relationship with God, a saving relationship in which we love and obey him. God could give all persons “irresistible grace” and thereby determine all persons to freely accept a right relationship with himself and be saved. He points out that the argument results in a contradiction (between premise 2 and the conclusion, 6), though he could have just as easily removed premise 2 and just noted that the argument proves something Calvinists reject. He says that Arminians reject 5, but since 5 is an obvious implication of Calvinism and Calvinists also accept 2 and 4, Calvinists have to reject 1 or 3. Walls treats this argument like it is a logically valid argument. He calls it a “logical argument,” and he thinks you need to deny one of the premises in order to avoid the conclusion of the argument: “Now Calvinists and Arminians generally agree that 2 is true and is clearly taught in Scripture. Therefore, both sides will deny the conclusion (number 6) that says “all persons will be saved.” But here is the question: which of the other premises will you reject if you deny that all are saved? Will you deny 1, or 3, or 4 or 5?” (p. 31) Only logically valid arguments – arguments where it is impossible for the premises to be true and the conclusion false – are such that you must deny a premise in order to avoid endorsing the conclusion of the argument. With invalid arguments it is possible for all the premises to be true while the conclusion remains false. So Walls must think this is a logically valid argument.